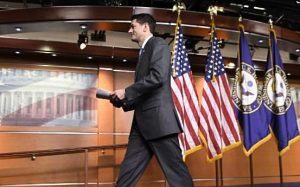 Ryan's declaration Wednesday followed that of Congressman Dennis Ross' (R-FLA) retirement, bringing to 60, the number of Members who have announced their resignations, retirements, or plans to vacate office to run for another office. That is 14% of the House's full-voting membership. Between the Trump backlash, the sexual misconduct scandals, and the gridlock in and between the White House and Congress, Members are exiting in record numbers. But the exit of Ryan, a policy-driven leader, exceptional fundraiser, and stable presence amidst the Trump turmoil, is a particular blow to a GOP that is struggling to hold onto its majorities in the US House and Senate. The ten-term Wisconsin Congressman, who was the GOP's 2012 Vice Presidential nominee, attributes his departure to dedicating time with family, which includes his three young children. Ryan was also looking at a competitive general election and, should the House fall to the Democrats, loss of his leadership position. Ryan's retirement also means a leadership race for his successor as Speaker going into an already contentious midterm election. All 435 Members of the US House of Representatives are up in 2018, and with just two-year terms, House incumbents are much more vulnerable to the political environment. The GOP currently holds the majority with 241 Republican seats (including three vacancies) to Democrats' 194 (including two vacancies). 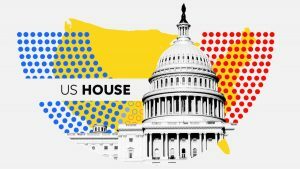 It will take a net gain of 24 seats for Democrats to reach the 218 needed to take control of the House in 2018. Of the 60 departing House Members, 41 are Republicans, the largest GOP exodos since 1930, and 19 Democrats. This includes four upcoming special elections for current vacancies, and a fifth open seat, due to the recent death of Congresswoman Louise Slaughter (NY-25), has yet to be scheduled. * Texas' 27th CD. Incumbent Blake Farenthold (R) resigned April 6th. Election Date TBD. * New York's 25th CD. Incumbent Louise Slaughter (D) passed away 3/16/18. Election Date TBD. Democrats already have the historic advantage given the party outside the White House in mid-term elections. In the current environment, they could pick up as many as 40 seats.